No matter how well you eat or how hard you exercise, you may find some fat is impossible to lose. Even some slender and young people have a hereditary disposition to fat that doesn’t truly reflect the fitness of their bodies. For all these people, liposuction may be the answer and Dr. Houser of Cosmetic & Plastic Surgery of Columbus is the ideal person to provide it. Also called suction lipectomy or liposculpture, liposuction is used to remove pockets of fat from under the skin. Since only small incisions are used, there is very little scarring. Liposuction can be applied to almost any area of the body, including but not limited to the neck, chest, abdomen, flanks and thighs, giving you that smooth, toned look you deserve. Dr. Houser uses an advanced liposuction technique called VASER® Lipo, a minimally invasive procedure that precisely and efficiently removes unwanted body fat. 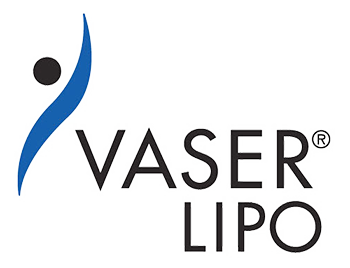 An alternative to the techniques of traditional liposuction, VASER Lipo uses state-of-the-art ultrasound technology designed to gently reshape your body. What distinguishes the VASER Lipo procedure is its ability to target only the fat, leaving other important tissues such as nerves, blood vessels and connective tissue untouched. And because the VASER system uses an advanced technique to first liquefy the fat before removing it from the body, the results are especially smooth, and the healing rapid, with only low to minimal pain. He also uses a device called Power Assisted Liposuction (PAL) by MicroAire which is designed for small or large volume fat extraction and body contouring. Dr. Houser has both the extensive experience and the latest in state-of-the-art technology to give you the figure you’ve been after. Patients who say they would have never considered liposuction are now finding the VASER Lipo procedure a great means of achieving their body goals. Although there are limits to the amount of fat that can be safely removed, Dr. Houser can assist you with your decision about potential areas for contouring, anticipated results, and the recovery process.